So, first I am going to share this totally cute - and perfect for Winter - cookie idea. I wanted to make these myself - to pig out on while reading Winter, of course - but by the time I remembered them and discovered that I didn't have an apple cookie cutter, it was too late to get ahold of one. If you want to see the step-by-step how too, come visit the website here. 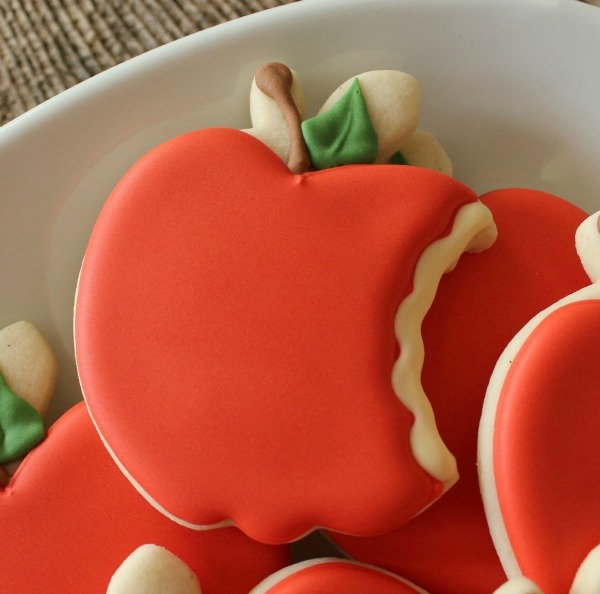 I am so picturing these tasting like spiced apple and maybe some apple cider to go with them. Or is that too much? But, seriously, aren't they adorable?